This is Colonel Rodgers of the United Earth Federation. I need you to come in and clean up the mess left by those Cybran Chipheads and Illuminate fanatics! 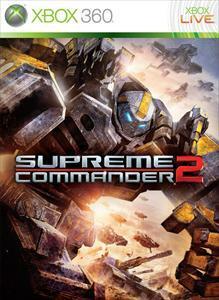 I'm ordering you to download the playable demo of SUPREME COMMANDER 2 and experience the award-winning real-time strategy game yourself. Fight the enemy on air, land, and sea, in spectacular environments on different planets. SUPREME COMMANDER 2 has everything you demand in an RTS: over-the-top experimental units, in-depth strategy, fast action, 4-player multiplayer, revolutionary controls, and more. There is only one true real-time strategy game, soldier, and that game is SUPREME COMMANDER 2. Download it today. Colonel Rodgers out.